“The Gifts of Imperfection” by Brene Brown is a gift in itself. A book, which landed in my hands, right at the time I needed it! Although slender and succinct, don’t let this fool you into thinking it is lightweight, or that it is not worth its weight! If it calls to you on any level – read it! Ten little chapters packed with wisdom that often challenged, cajoled and unwittingly enticed deep-seated patterns, behaviours, and memories to surface, in the light of new awareness. 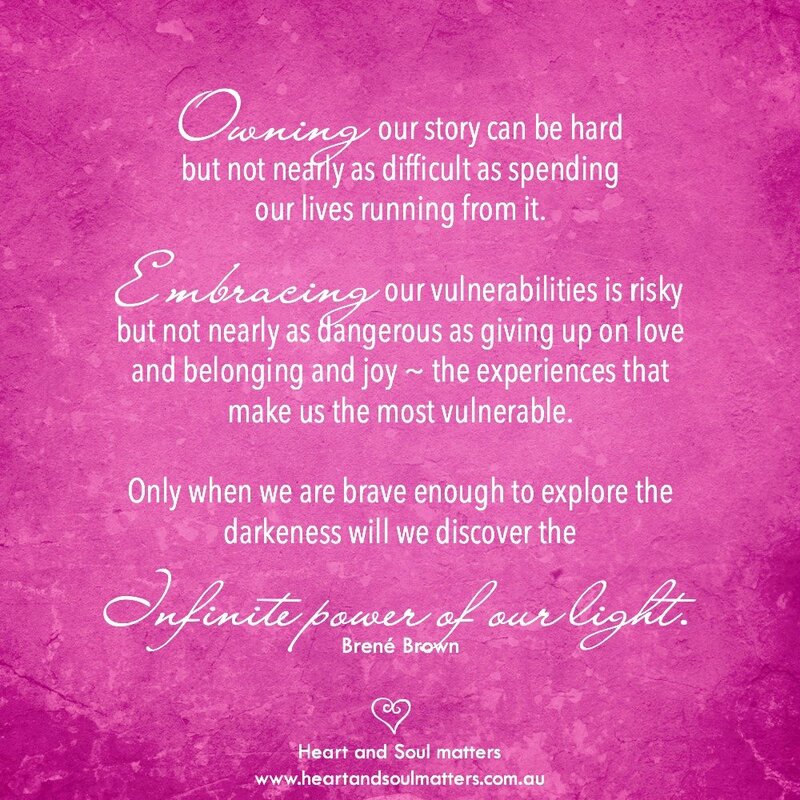 I sat with my vulnerability and finally recognised this as my strength. What a shift in perception! My own imperfections hidden under the illusion of my “perfect” mask, held all the answers. As fear of my imperfections gave way to seeing them as signposts for learning and growing, I began to get a sense of my true self, my authentic voice. Part of me had been submerged, pushed down deep, out of fear of being “different”, not “fitting in”, or simply not “being good enough” – my heart was not “whole” – there were parts of me I had hidden, rejected, dismissed. Parts of me unloved. What power lies in being able to examine these parts with love and compassion, to bring them to light, and accept the lesson and the ultimate gift they each revealed. Knowing ourselves is the journey of a lifetime… with “The Gifts of Imperfection”, Brene Brown has created an immensely valuable tool to making the journey to whole hearted living – a place of Being, where we live with authenticity, courage, compassion and connection. The Gifts of Imperfection is a book I keep within easy reach, as a reminder to Embrace All of Who I Am. Please note the links contained within this Review take you to the Book Depository, of which Julie Parker is an Affiliate. 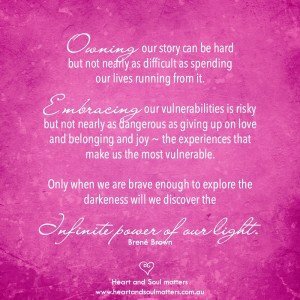 This entry was posted in Blog, Soul Books and tagged Brene Brown, Compassion, The Gifts of Imperfection, Whole hearted living on April 28, 2015 by Julie Parker.